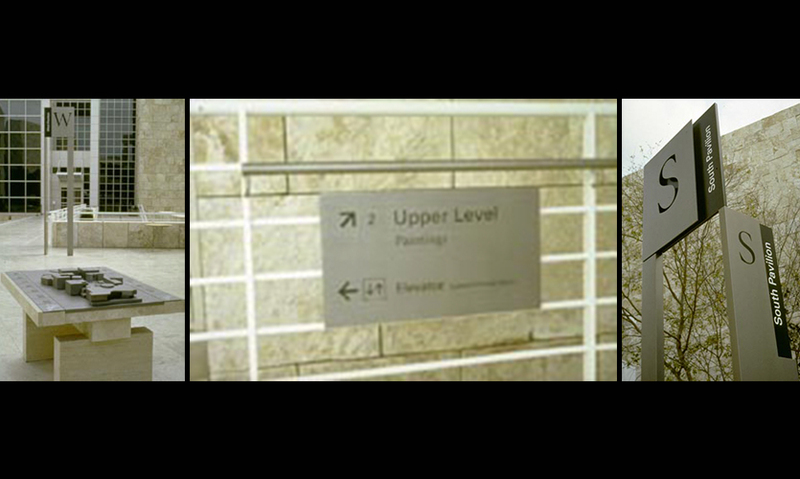 A comprehensive wayfinding program helps people navigate the complex set of buildings that comprise the museum. Signs range in size from giant site models to small gallery identification signs. Design and type are consistent throughout.